Journalists in Abuja who dashed over to cover the start of the ongoing 2019 UTME were prevented from entering examination halls to snap pictures and take videos of the examination process. 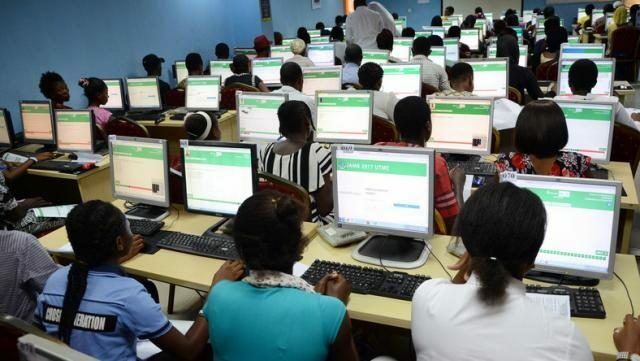 The security operatives stationed at the centres revealed that they were working under strict instructions from JAMB that such should not happen. As soon as were told about what was saved on the mobile devices brought by journos, the security men from the Nigerian Security and Civil Defence Corps, Nigerian Army and normal detectives from the DSS insisted that the items be deleted. After getting rid of the pics and clips, they were ordered by JAMB officials to not allow journalists into the premises anymore. Nollywood Actress Iyabo Ojo And Her Kids Go Jogging!